Image Size: 18 X 20 in. The transformation of water into wine by Christ is the first miracle in the Gospel of John, revealing his glory to his disciples. 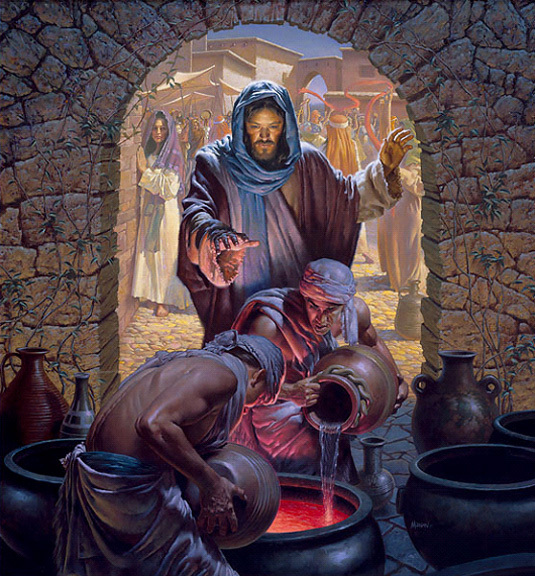 When wine ran out at a wedding, Christ asked the urns to be filled with water, which then became the very finest wine. The Biblical story also can be read as a metaphor for the blessing of Christ’s arrival and for his teachings.